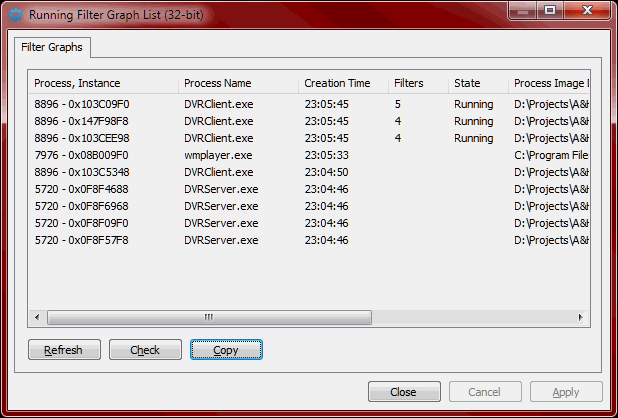 A typical task for DirectShow Spy is to get installed onto, make the target application filter graphs available for inspection and… then get inspected with some additional tool. The last step assumes there is an additional application ready to pick the graphs and an interactive user attaches to the graphs for visual inspection and troubleshooting. Clipboard integration makes it really easy to pass the information through remote access applications. 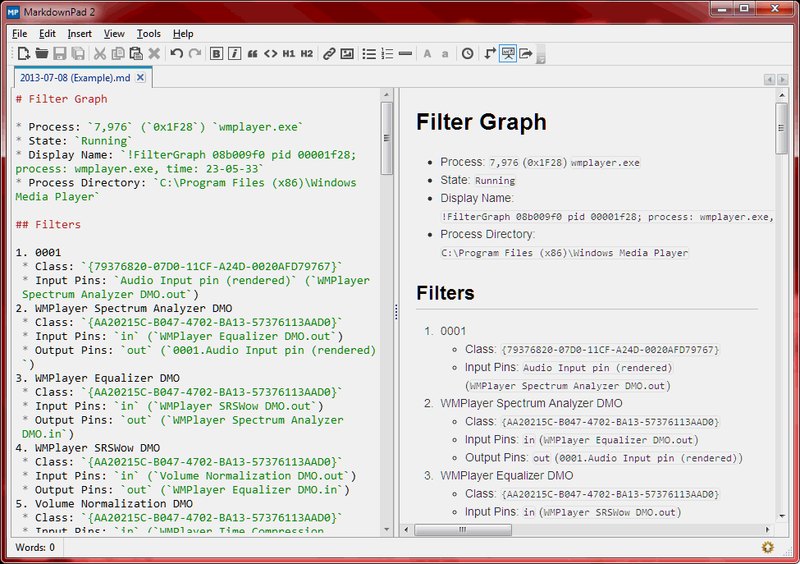 The new UI is available through exported function DoFilterGraphListPropertySheetModal.